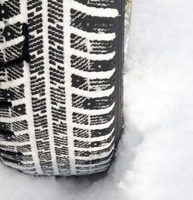 "Winter tyres" are tyres specifically designed for use in cold weather and offer many performance benefits over regular tyres in those conditions. Winter tyres aren't just for snow – they help in all conditions when the temperature is below 7°C. They decrease braking distances in icy, wet and snowy conditions and offer extra grip to keep your car handling smoothly and safely. Winter Tyres, sometimes also known as cold weather tyres, have a different rubber compound than ordinary tyres and are designed to be more flexible at lower temperatures. In addition to this, the tread has more grooves which helps with water and snow clearance, offering more grip. Snow socks give you extra grip in the snowy and icy conditions. They are made from a special fabric that grips the road and are quicker to fit than snow chains. They are easily stored in the boot of your car in case of a sudden snow storm and they just slip on and off when you need them. If you are interested in Winter Tyres or Snow Socks and would like more information, please call Pan Autos on 01582 764322 or Contact Us Online and arrange an appointment time that suits you. Pan Autos have been supplying Harpenden and the surrounding area for more than 25 years. 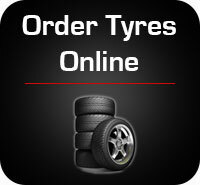 We offer great value and customer service for all your vehicle requirements.